I love supporting small local business or someone who has made something that they’re passionate about as I would love for people to do the same for me if I was to ever start out with any passionate ideas I had. I feel much happier giving my money to someone who really appreciates it and not just a multi million pound company who don’t really care. Don’t get me wrong, I love buying my clothes and bits from big company’s but I feel happier to help out another creative individual. 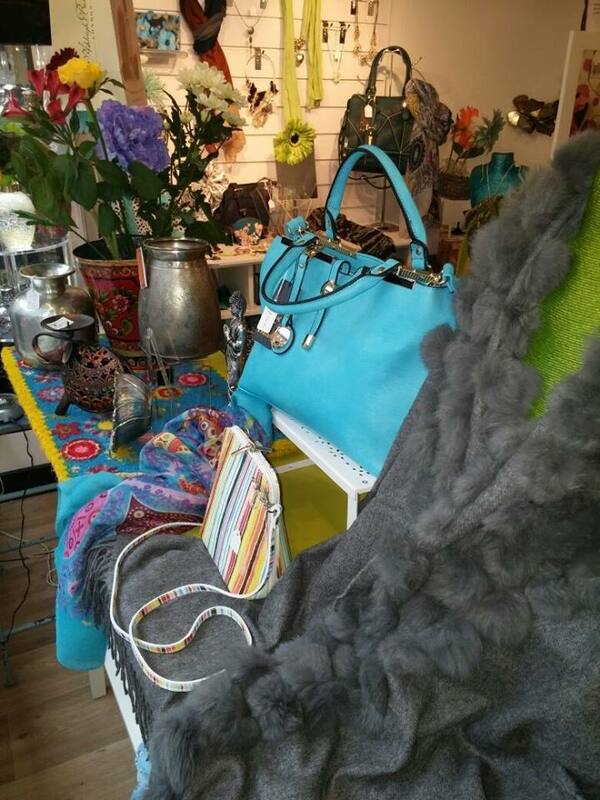 I used to work down a small road in my town center (Aylesbury) and it had some really lovely small shops including my lovely friend Jacquie, her shop is called “The Jewellery Lady” and she offers some stunning one off statement bags, scarf’s and of course… Jewellery. I am always in as soon as she has new stock so I can get everything I want before others, her prices are very reasonable, better than big brand named shop prices that’s for sure! I never used to be interested in bags or jewels but since Jacquies shop has come along I cant get enough of them! She never stocks the same item twice, unless you really liked something she had but it got bought then she will sometimes order it in specially for you! She’s so passionate about providing a service for people, she will talk about what jewellery suits you and give you great advice and a wonderful chit chat! Her shop reminds me of the scene where they all walked into Mr Wonkas chocolate factory and they didn’t know where to look first! This is exactly it! So much to see, scarfs hung over rails and lovely necklace displays with a matching bracelet and earnings and an array of colorful bags hanging off each hook, I’m like a kid in a candy store! Which you can also buy her items from. If you live local to her, she’s more than happy to offer a party evening at your house and the host(ess) gets a 10% Discount. Once I’ve moved into my lovely new home, I will most defiantly be holding one as its a lovely evening to do. The grey scarf displayed in the picture below, I have in 2 colors! I cant help myself.